Pauline Trigere passed away ten years ago this week. I happen to remember it was just after we'd acquired some exquisite Trigere designs from a Miami entertainer's estate. Although working in vintage clothing is understandably tied to estate work (and thus people's deaths), the emotion of it doesn't diminish, and it was a poignant moment for me. Trigere was (and still is) a favorite. 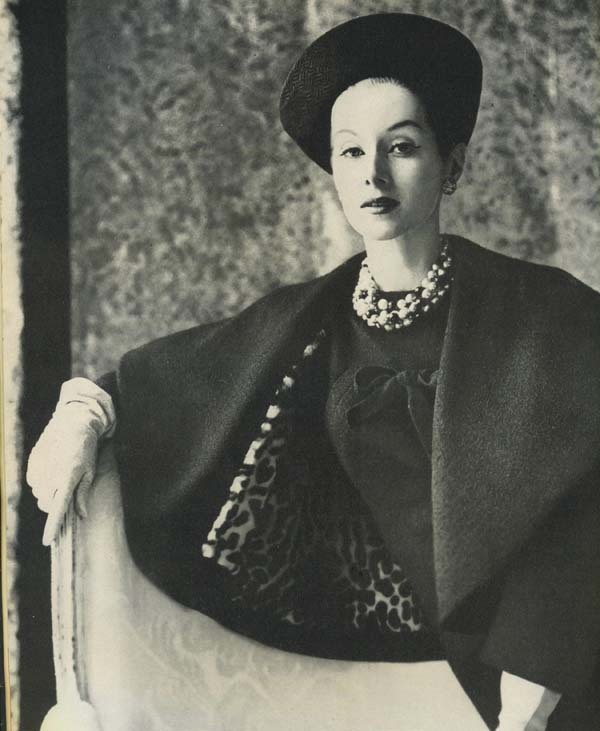 A 1959 Pauline Trigere suit, includes spiralled S-curve jacket & narrow wool dress, lined in leopard-print Italian lambskin. When individuals die, there's a household to disassemble. But when a world-renown designer passes on, there's a legacy that remains. Its staggering presence, suddenly made hollow, can be overwhelming. Trigere was one of the most enduringly elegant labels of the 20th century, and one of the best for couture quality and timeless beauty. Straight out of the 70's... It's Barbie and Ken!